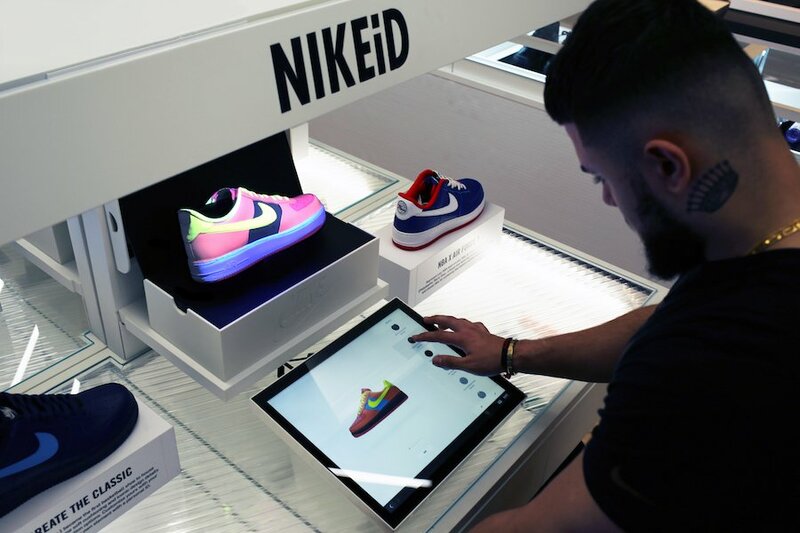 Thanks to augmented video mapping, the new NIKEiD Direct Studio in Niketown London allows for real-time, live design directly on a shoe. 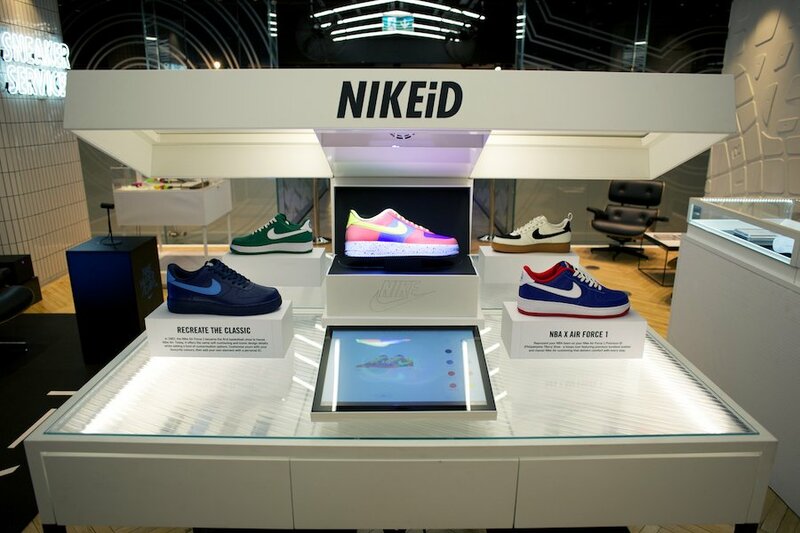 Here’s how it works: An all-white version of the sneaker you are designing is placed in the NIKEiD Direct workspace. 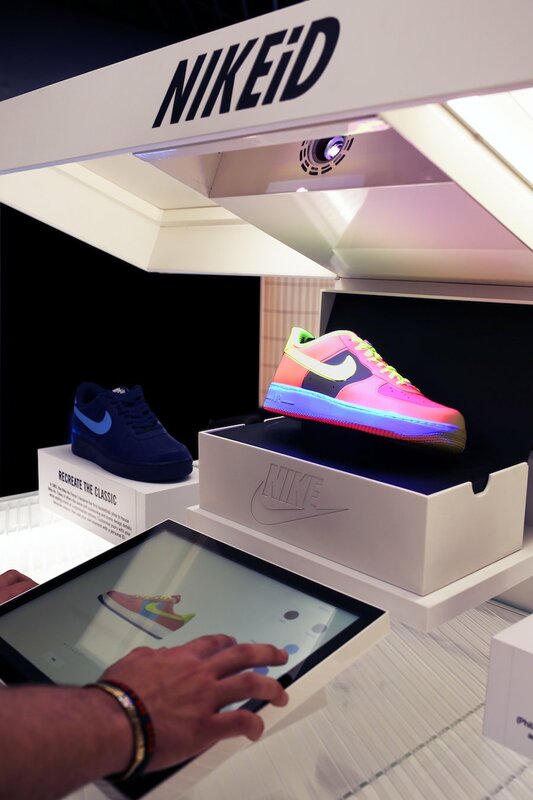 From there, the shoe is connected to the NIKEiD configurator, and as soon as color and material selections are made, they are projected onto the shoe for a clear, immediate representation of the final product, allowing you to experience your design coming to life right in front of your eyes. 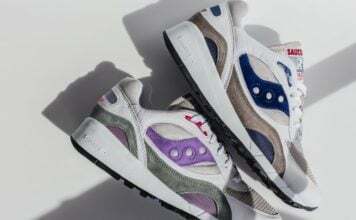 Once wrapped, your design heads into production at a NIKEiD factory. 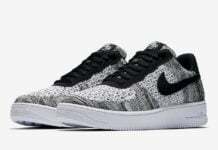 The Nike Air Force 1 iD is currently available to customize in the NIKEiD Direct Studio with three different color palettes: the Essential, the Winterized and the NBA. More styles are set to be added in future seasons. 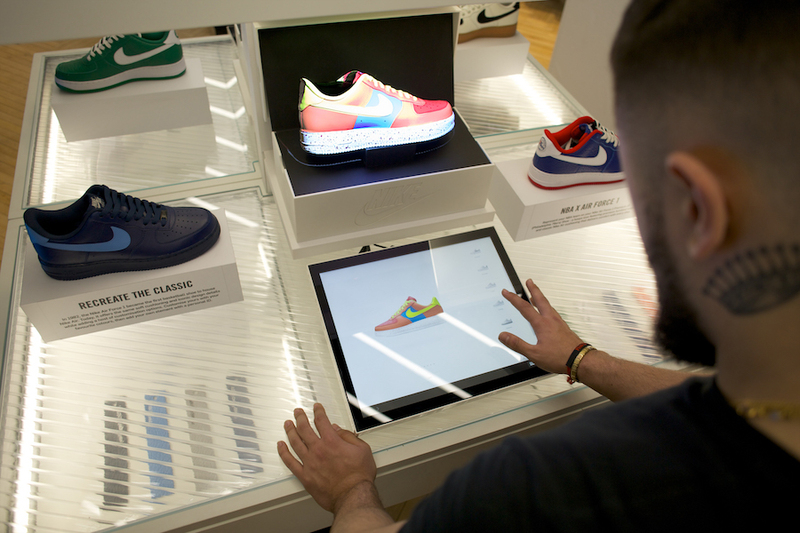 The experience is open now at Niketown London — no appointments necessary. 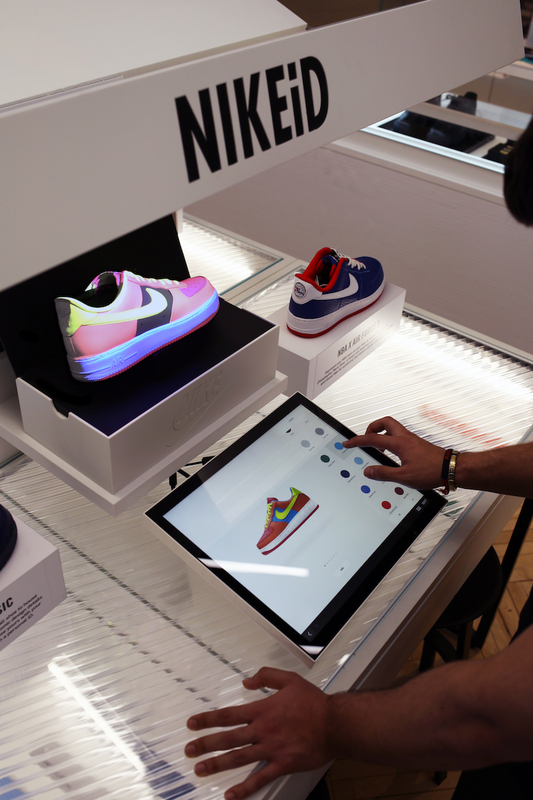 The NIKEiD Direct Studio is a partnership with Paris-based SmartPixels.